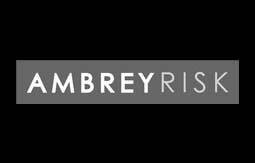 Ambrey Risk was incorporated in September 2010, a privately owned company with an ethical and standards focused approach. Compliance led, people centred and client focused, Ambrey operate in over 20 countries with offices in UK, Dubai, Delhi, Singapore, Hong Kong and Seoul. Ambrey is one of the leading international private maritime security companies. We provide a range of security risk management services in both maritime and land environments. These include a wide range of services to shipping, the oil and gas sector and provision of protection teams in support of clients operating in remote and hostile environments. Ambrey also specialises in security consultancy, training services and has significant experience in providing teams to co-ordinate and mentor host nations security forces. Ambrey offer corporate and private clients support in High Risk Areas (East & West Africa), with over 60 armed security teams on the water on any given day and over 600 deployable personnel on a rotational basis supported by 60 full time staff in our offices.